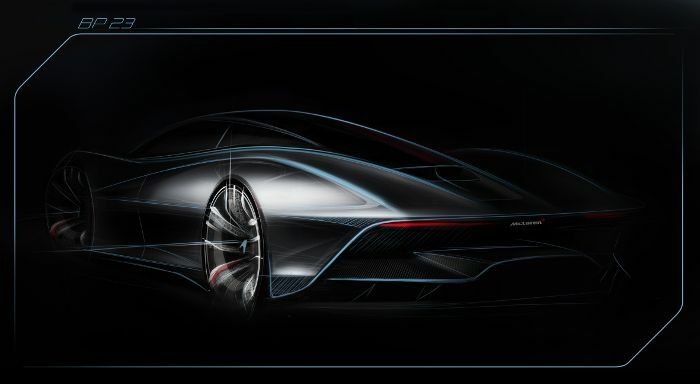 McLaren Automotive has released a new sketch picture about the coming soon ‘Hyper-GT’, which it was codename BP23. The BP23 will be the most powerful and most aerodynamic road-going McLaren ever produced. The new model still under development at McLaren Special Operations (MSO), simply MSO who makes unique models for McLaren, and already also from the current range they have been made MSO versions, such models as the 570 GT MSO or 650S Spider MSO. The new model a newer luxurious model new addition to the McLaren Ultimate Series product family. The BP23 codename is taken from the car being MSO’s second Bespoke project and it having three seats. The new BP23 production will be limited to 106 examples as the McLaren F1. BP23 owners will work alongside MSO to select colours, trim materials and other points of personalisation unique to them. The first examples of BP23 are expected to be delivered in 2019.